How many times have you heard of an eco-tour? When thinking about ecological subjects words like nature, wildlife or environment might come to mind. But what is an eco-tour or an ecological tour? When a person participates on an eco-tour, she or he has the opportunity to learn about the relationship between the living things that exist in a specific area and the environment of that area. So when you are looking for an ecological tour for your student trip, you must make sure that the service provider will give your students much more than just enjoyment and discovery. Your trip should include plenty of opportunities to learn about what goes on on that particular place at all times, either between animals and plants, plants and human beings, human beings and climate… it all counts, and we should try to understand it. What is Costa Rica’s ecology? To describe a country’s ecology we would have to talk about its environment, its natural history, and its people. It is not a simple matter. We will not pretend to give you a lecture in this post, but we would like to give you an idea of why Costa Rica is one of the best countries for you to take your students on a trip to learn about ecology. The total surface of Costa Rica only represents 0.03% of the world’s land area, but it has more than 4% of the biodiversity of the world. Because of its strategic locations between two oceans and in between the Equator and the tropic of cancer, and also because of its varied topography, one can describe up to 12 different life zones that are so different from one another, such as a dry forest and a cloud forest (source). Imagine then all the diverse flora and fauna interacting among these diverse ecosystems and also with the very different climates that govern different parts of the country. Currently, the country has a population of just over five million inhabitants, which is not significant compared to other countries or even states and cities in the world. However, the Costa Ricans, after seeing their forest decline critically in the 1960s and 1970s, decided to make a significant effort to protect their natural resources and to this day around 26% of its land territory and 9% of its maritime territory, is protected in different kinds of ecological zones. Close to 14% are strictly protected from all natural resource extraction. What is Costa Rica’s ecological footprint? The World Wildlife Fund (source) defines the ecological footprint as “the impact of human activities measured in terms of the area of biologically productive land and water required to produce the goods consumed and to assimilate the wastes generated.” So it represents the pressure human beings put on nature to provide what people consume and to process the waste generated by human beings. Besides the excellent effort made to protect biodiversity, Costa Rica’s ecological footprint is not enough to be completely sustainable. According to the Global Footprint Network, Costa Rica needs 2.5 gha/p (global hectares per person) to sustain its way of living, and as a country, it has a biocapacity of 1.6 gha/p) therefore it has a deficit of 0.9 gha/p. If one looks at the data (source) it is clear that the biocapacity of the country has decreased considerably in the late 1900s, but the good thing is that the curve seems to have stabilized and maybe even start growing again, while the footprint has had its highs and lows over the years, but on average appears to be stable. What are Costa Rica’s ecological issues? As a country, Costa Rica has done more than protecting forest and wildlife so it can be more sustainable and ensure a greener economic and social growth. For example, since 2014 the country has been capable of producing over 98% of the electricity needed in the entire country with green sources (source). This is something that many countries in the world admire. The reasons for the government and the Costa Rican citizens’ concerns about protecting the environment are more than just globally trying to “show off.” The identity of the Costa Ricans is firmly bound to nature, and it is clear to its people that not only are they protecting something very important for the world but also that the economy of their country depends deeply on those who visit it to enjoy and learn about nature and biodiversity. But it is also clear to the country and its people that there are many weaknesses and threats and challenges (source in Spanish) that must be addressed to be the clean, carbon-neutral, environmentally-friendly country that Costa Rica is aspiring to be. Some of those weaknesses and threats are improving the inefficient public and private transportation and reducing its dependence on fossil fuels. They also need to reduce the excessive use of agrochemicals and improve the management of waste considerably. And the biggest challenge is to improve economic, social and knowledge equality so people would take the matter into their hands and start acting at a “micro level” towards the changes that are needed. What types of ecological tours are available for student trips in Costa Rica? being an example for the world. It is also a country that has set clear goals and is ready to face the challenges needed in order to reach these goals. Is there a better thing you can teach your students? Our advice as experts in this matter is that whatever you decide to do, make sure that your tour is always accompanied by knowledgeable “naturalist” guides, who have degrees and certifications in Costa Rican ecology and Costa Rica’s flora and fauna. Nature and ecology are not constrained to protected areas; it is all around you. Therefore, you have opportunities to learn throughout the day, not necessarily just during a tour or when working on an environmental sustainability project. 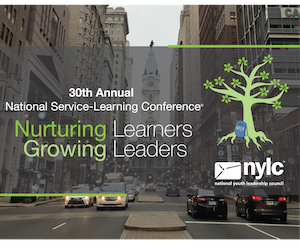 There are great learning opportunities in overlooked moments like when making a transfer from one destination to the other, when a unique insect flies onto your table in an outdoor restaurant, when a gecko that lives within your hotel room makes its call, or when leaf-cutter ants are crossing the road as you walk to an activity. Some of Costa Rica’s protected areas, like the Carara National Park in the Central Pacific, or the Santa Rosa National Park near Liberia, Guanacaste, offer visitors interpretive trails that help them deepen their knowledge of the concepts of “transition forest” (between dry and rainforest) and dry forest. Another thing we highly suggest you include in your ecological student trip is a service project. Even if you can only dedicate half a day, this activity could turn into the most impactful experience of your student travel program. 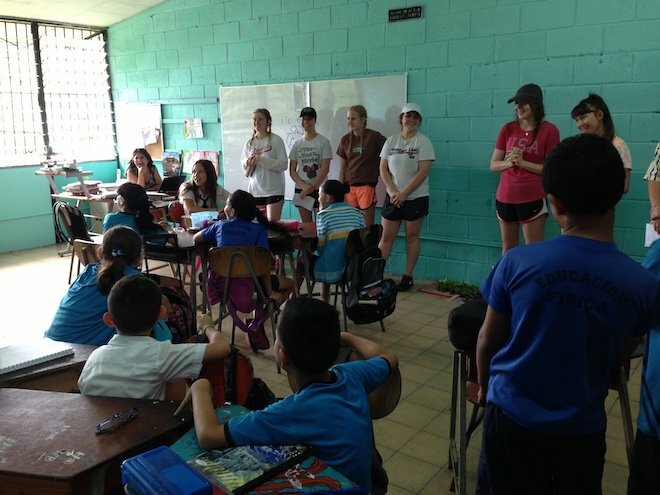 We at Costa Rica Explorations have a wide experience in organizing and directing these kinds of service-learning projects, and we suggest you consider engaging in one or more of the following. Many local farms are looking to diversify their land by adding wood-bearing trees, trees that are rich in nitrogen and fruit trees to their properties. Your students can learn more about the global and local impact of diversification of farmland while volunteering with local farmers. Costa Rica Explorations partners with local water companies called ASADAs in Turrialba to help them to protect their watersheds. Students can visit natural springs and learn about the importance of having direct access to fresh water as well as the continual struggles the water company has to maintain this access and protect their water sources. Costa Rica Explorations is prioritizing the implementation of school gardens in local and public schools in the Turrialba area. Elementary and High Schools provide a daily lunch for their students. The majority of each lunch is made from fresh produce. We are teaching students that they can help reduce the expense and assure themselves of the quality of their produce by sowing and growing their own fruits, vegetables and herbs. 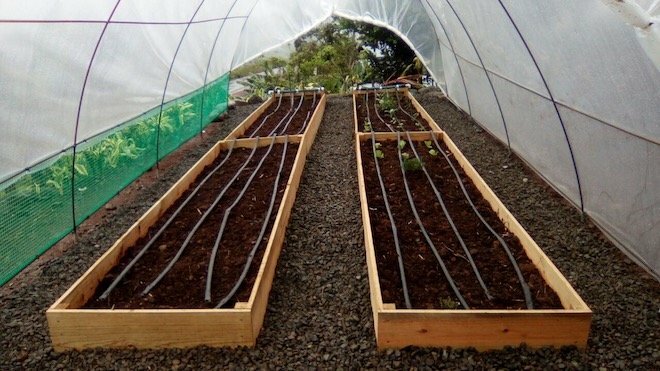 School gardens are taking Costa Rica one step closer to becoming a food independent country. Your students can join us in helping to create and maintain working school gardens in local schools. One of the biggest issues in Costa Rica is waste management. Currently the town of Turrialba’s landfill has surpassed the country’s safety standards; however, there is nowhere else for the waste to go. One way Costa Rica Explorations is partnering with the Turrialba Municipal government to combat this issue is by educating students as well as parents and community members in recycling: What can they recycle? How do they recycle? Your students can help educate students and community members through workshops and educational PowerPoints. Creating access to recycling is really important as well. 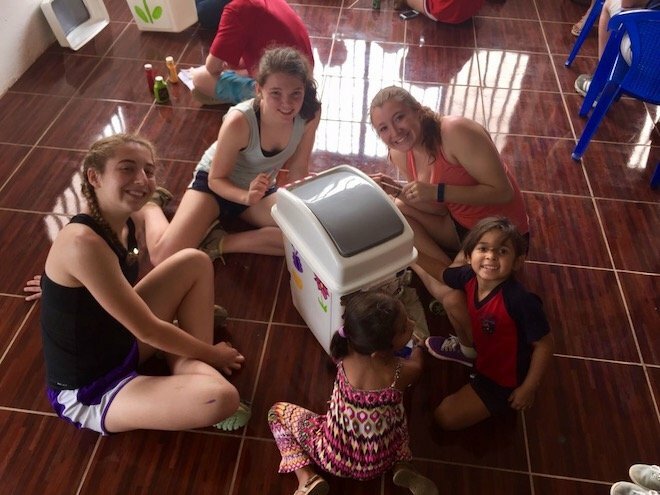 Costa Rica Explorations is working with local communities to construct satellite recycle centers where community members can bring and store their recycling until the municipal government can pick it up one a month or once every two weeks. 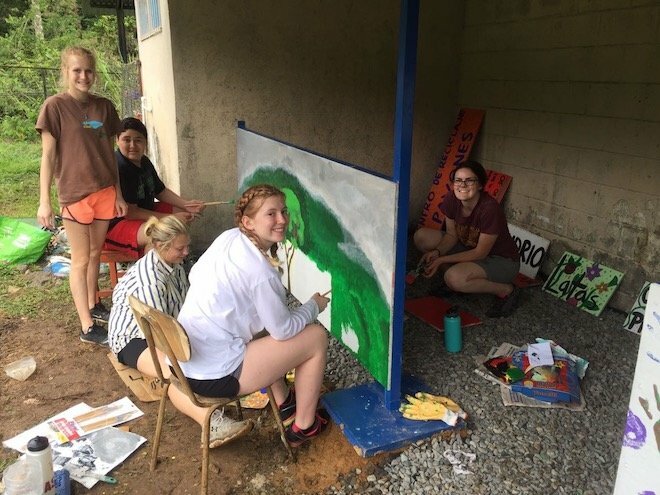 Costa Rica Explorations enjoys working closely with their school partners to help schools customize a unique service project in order to connect to the specific goals they have. Contact us today to help you design your own ecologically-focused service project. We have a wide variety of Community Service Partners so that we can customize your service experience based on the unique needs of your student group. But once more, the best way to make sure your ecological student trip is successful and impactful for your students is to rely on people that are knowledgeable! 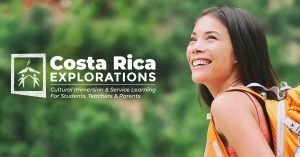 Those people are the staff at Costa Rica Explorations, and we are ready to listen to your desired topic of study to customize a grand tour that includes educational field trips, workshops, and reflections specifically designed for you and your students that will incorporate and expand upon your desired educational goals. Please contact us to talk about planning Costa Rica ecological tours for student trips! 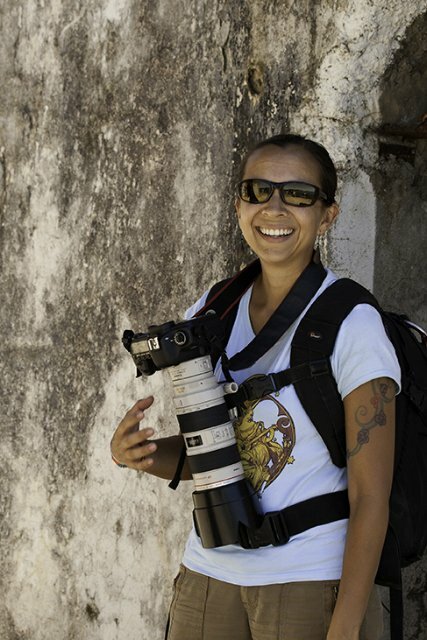 Mónica Quesada is an award-winning photojournalist from Costa Rica who loves to show off her country! That is why she has also worked as a photography tour leader since 2007 and she has been the leader of volunteering programs since a very young age. You can see her work at www.mqcphoto.com.